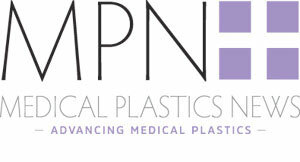 DSM has expertise in the design and manufacturing of medical device materials. In January, the company opened its first in-house medical coating service plant, which offers medical device manufacturers custom-designed coating application processes and high quality coating services for our ComfortCoat hydrophilic lubricious coating. DSM’s expertise allows it to select the optimal coating for its partners, based on the clinical application and need addressed by their medical device. Manufacturers need to consider a range of factors before choosing a coating for their medical device. It is important to seek out a coating supplier who can serve as a strategic partner and add value throughout the entire lifecycle of device manufacturing and commercialisation. For example, a coating supplier that makes it a priority to learn about all of the materials that make up a device and understands the device’s intended clinical use, can provide better counsel when proposing a specific coating to meet the device’s needs. Ultimately, it is the customer that decides if the coating is suitable for its device. Elements to take into consideration include the conditions in which the device is produced, sanitised, stored, and ultimately, used to treat patients. Like DSM, the coating supplier should work closely with device manufacturers to create a custom-designed coating application process that continues through each phase of development – feasibility, verification and validation, regulatory approval, commercial production and bringing to market. By keeping all of the steps involved in formulation and application within the same organization, device manufacturers can gain a competitive advantage through streamlined processes and first-hand knowledge. When determining a coating application process, device manufacturers should also consider how much of their device they want coated based on the size, shape and function of the device. For example, unlike disposable devices, reusable devices require cleaning and sterilisation prior to use and should be paired with coatings that have a high resistance to wear. DSM equipment operates in an ISO class 8 cleanroom and our quality management system is compliant with ISO 13485 standards. We also provide device manufacturers with a letter of authorisation to reference master files on file at FDA. These files contain technical information about a material, namely, manufacturing procedures and testing data that demonstrates safety and efficacy. Device manufacturers should consider the facility in which their device will be coated and ask questions about equipment, throughput, quality systems and compliance with regulatory and international standards such as ISO. The medical device manufacturing community continues to innovate and build smaller products used for minimally invasive surgeries that reduce risks and increase recovery time for patients. Providers who create advanced coating application processes that serve a wide range of medical device component sizes and geometries are well positioned to serve the needs of the market.